Someone once asked me, "Do you have a backlog of birthday celebration blog posts saved ahead of time and then publish them the day of the author's birthday?" I responded, "No, we really do this. We celebrate the birthday when the birthday comes around." And because of this, I am often amazed on how things come together. I don't always plan things out very well. It is clear to me that this birthday celebration for Janet Stevens would not have happened without the help of two of my friends. I can't thank them enough. Janet Stevens described how her career began as a children's book author and illustrator on the Holiday House website, "I have always loved drawing animals and gradually they took on a book character look. I dressed them up in my clothes and shoes, but they had no place to go. They needed a story. In 1978, I attended a seminar/workshop taught by Tomie de Paola. He encouraged me to give children's book illustration a try. He showed my work to his editor at Holiday House, and she liked it well enough to give me a contract for my first two picture books." Since then Janet has published over 30 books for children during her career. 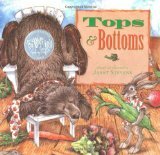 Many of these books have received awards including a Caldecott Honor in 1996 for Tops and Bottoms, that she both wrote and illustrated. The book also received the first Bill Martin Jr. Picture Book Award in 1997. 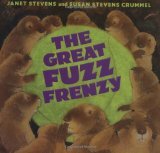 She received the Bill Martin Picture Book Award again in 2008 for The Great Fuzz Frenzy which she published with her sister, Susan Stevens Crummel. Janet Stevens has worked with her sister on most of her recent books including the latest, The Little Red Pen. 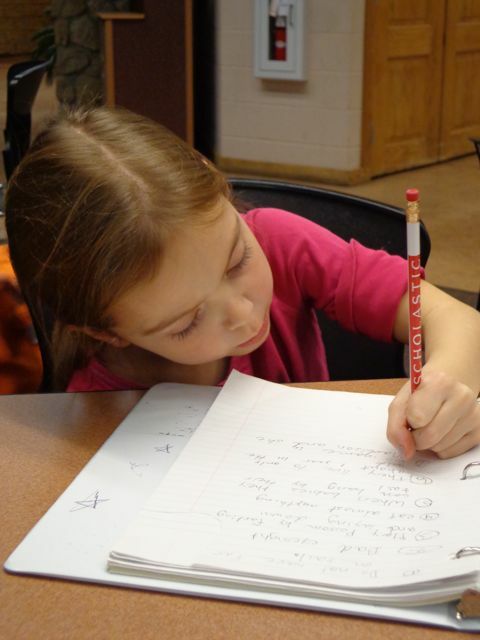 The Little Red Pen was a book inspired by their editor, Jeannette Larson, who has often marked up their manuscripts with a red pen. 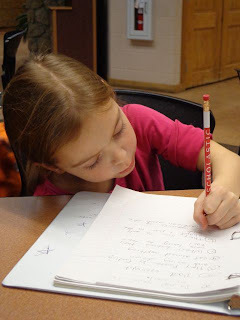 The story is set in a school and the Little Red Pen has lots of papers to grade. She asks her office supply friends for help, but they are unwilling despite Pen's dramatic request. However, her friends do not think twice about helping when Little Red Pen tumbles off the edge of the desk into the trash can! This is a fabulous story about teamwork written by a fabulous writing team! 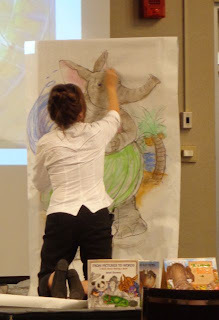 I was lucky enough to hear Janet Stevens and Susan Stevens Crummel speak at the Mazza Museum Summer Conference 2012. Their presentation was like a tennis match as the dialogue bounced back and forth at an energetic pace. They described their collaborative process, which has the same back and forth style as their presentations. Janet said that she usually comes up with the ideas and then Susan works the ideas into a manuscript while adding her own creativity along the way. After that, Janet adds ideas to the manuscript until it is ready to send off to the editor. Once the manuscript is approved Janet sets to work on the illustrations which she completes on her own accord. At the conclusion of their presentation, Janet drew a picture for the audience while Susan told the story of The Little Red Pen. I loved watching the illustration unfold before my eyes. The illustration of the elephant gave me my initial thoughts that our birthday celebration for Janet Stevens would end up taking place at zoo. 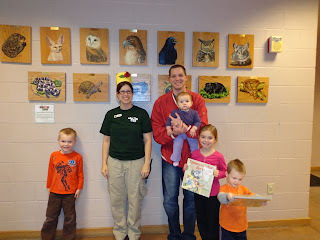 It seemed like the best place to celebrate an illustrator that loves illustrating animals. However, I wasn't quite sure how the celebration would come together. Janet Stevens at the Mazza Museum Summer Conference 2012. We discovered the books Epossumondas and Epossumondas Saves the Day, written by Coleen Salley and illustrated by Janet Stevens at our library. 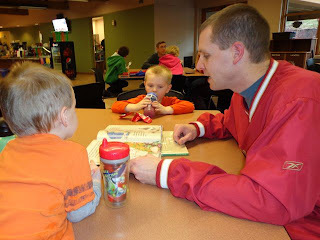 My kids and I loved the books. They gave me a last minute birthday celebration idea. But, I needed a little help. 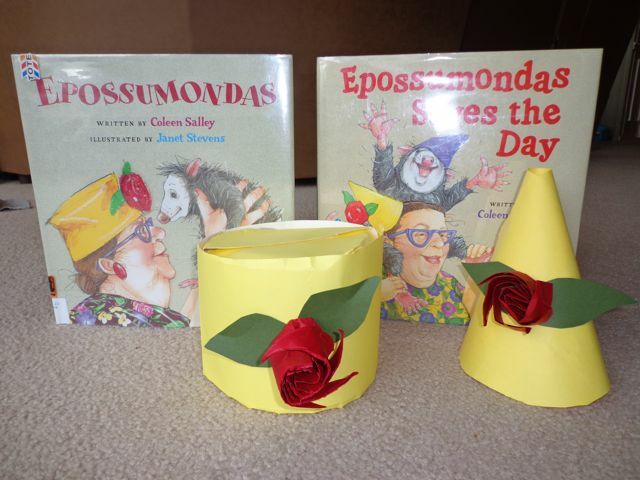 Epossumondas is baby opossum that wears diapers. In Espossumondas, he frequently travels from his Mama's house to Auntie's house for visits. Each time Auntie gives him a something to take home. However, Epossumondas "doesn't have the sense he was born with" and he never quite gets the item home without something happening to it. My family immediately fell in love with this silly opossum. Then, we read Epossumondas Saves the Day and I found another read aloud that I can't wait to try reading for a large group of school children. In this story, it is Epossumondas's second birthday but his mama was one ingredient short of making his birthday strawberry shortcake. His Mama is not willing to let Epossumondas go to the store to get the missing ingredient. Therefore, she sends others instead but they do not return so she heads to the store herself. When she doesn't return Epossumondas is worried that he won't have a birthday party so he innocently heads off to find everyone. His innocence helps him when he is met by a great danger. In the end, he saves the day and his birthday party. I said I needed a little help for this birthday, but I got so much more! Two of my former co-workers and friends from the Akron Zoo graciously invited my family to meet Madison, a 7-month-old opossum that lives and works at the zoo. I say, "works at the zoo," because Madison lives in the education department that helps teach young children all about the important animals in Ohio. We were lucky to get a 60 degree day in January for a trip to the zoo! After seeing the flamingos we headed inside to the home of education animals. Madison, the opossum, was shown to us by Shelley, the education coordinator at the Akron Zoo. While Madison munched on her snacks Shelley taught us that opossums are really as cool (...and cute) as Epossumondas. Opossums are the only marsupials in North America and they have 52 teeth (which is the most for a North American mammal)! I was advised to not publish pictures of our meeting with Madison since it was not a public viewing. However, Shelley was willing to pose for a picture with us. I even found a home for the hats I made! Thanks Shelley! You are awesome! After our visit, we headed up to the cafe for a snack. My oldest son requested that we read Epossumondas again! While we read the book, my daughter recorded all the facts about opossums that she learned from Shelley including that opossums not only play dead to scare away predators but they also release a stink that makes them seem like they have been dead a REALLY long time! This was a very memorable reading experience. It was so much more than I ever expected thanks to my buddy Jake for coordinating our visit and to Shelley for taking the time to introduce my family to Madison! You guys are so awesome! Thank you so much! 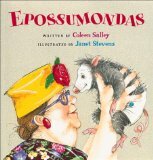 Now I am off to find the other two Epossumondas books at the library --- Espossumondas Plays Possum and Epossumondas Has No Hair on His Tail! 1. Janet Stevens' Website - Coloring Pages! Happy Birthday to one of my idols! And the sisters combo are great too! Thank you Iza. We read so many books by Janet this week! They are all so good! 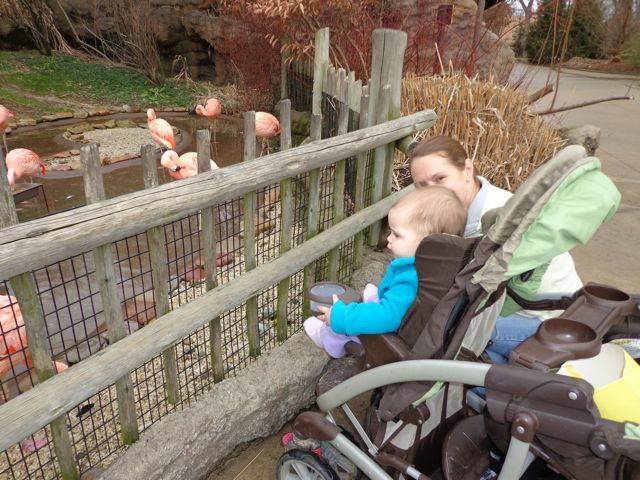 The zoo was so fabulous! It was so nice to see my children so excited. 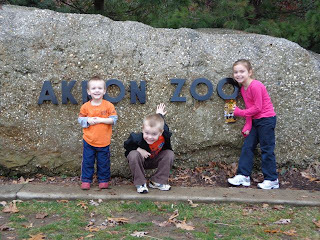 They were skipping around the zoo they were so happy!